After last week's shocking death of Kim Porter, Diddy speaks out for the first time about losing the mother of 3 of his children. He also re-emerged, looking visibly distraught, with Cassie by his side. Details inside. Kim, a former model and mother of four, died completely unexpectedly in her Toluca Lake home last week after reportedly battling the flu for the past few weeks. Her cause of death is still undetermined, but the coroner has reportedly called for a deeper investigation. The Los Angeles County Coroner, meanwhile, has ordered an "additional investigation" into Porter's death, ET confirms. The office listed her cause of death as "deferred." A spokesperson for the LAPD told ET on Thursday that no foul play was suspected. Diddy also managed to leave his home, despite being visibly devastated, a couple days after Kim's death. He was seemingly being consoled by ex-girlfriend Cassie. 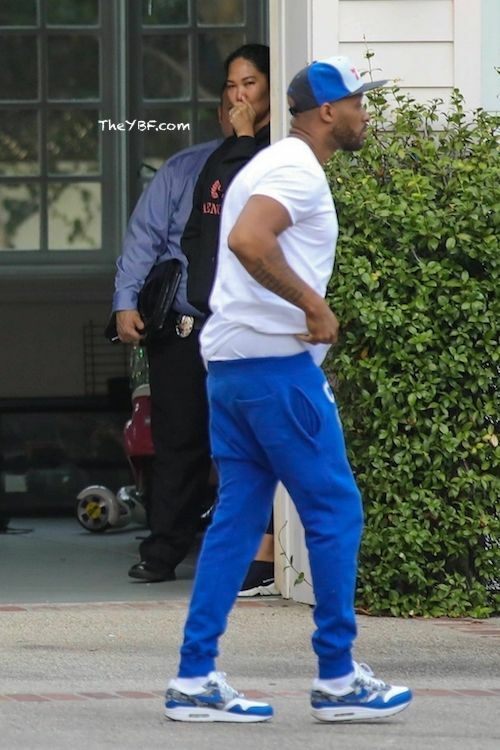 He was spotted in a black hoodie and red basketball shorts headed into a specialized movement rehabilitation center in L.A. Cassie, meanwhile, was dressed casually in a black sweatshirt and black leggings. She reportedly reached out with condolences, despite the two having broken up recently.